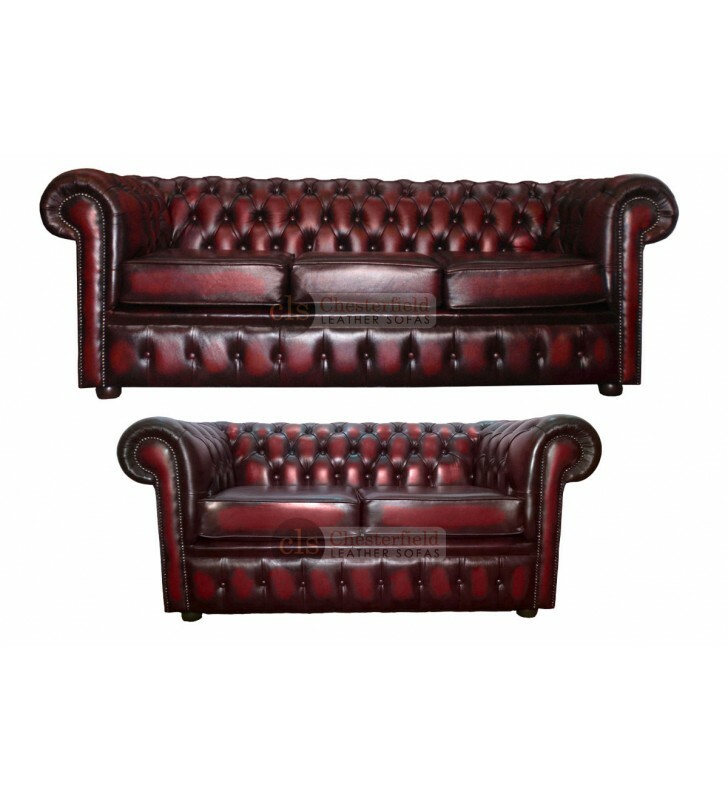 Renowned for its British classic style, this premium suite consist of a 3 seater sofa and a 2 seater sofa, adding a vintage touch with the curved arms which are complemented by stud beadings, the deep seat buttoned detail and low back style will give you many years of comfort. Hand made in the UK by skilled craftsmen using our finest genuine leather. A range of different Colours: Antique Oxblood Red, Antique Blue, Antique Brown, Antique Green, White leather and Black Leather.